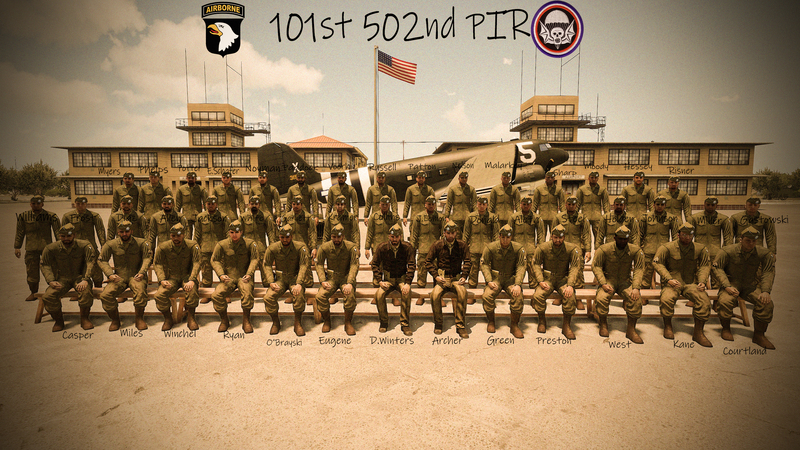 Welcome to the forum's thread of 101st Airborne Division,502nd PIR,Company Easy Unit! We are Arma 3 unit and we recreate operations of 101st Airborne Division in World War 2 and Modern Conflicts! We play different military scenarios with friendly community. Roleplay is the key feature of our unit.It means that on the battlefield you will feel yourself like a true soldier! Good luck on the battlefield and stay frosty!